Preheat oven to 350°F. Line a standard-size, 12-muffin pan with paper liners. Spray each liner with non-stick cooking spray. Stir together crust ingredients and divide the prepared crumbs between the 12 wells. Press crumbs down firmly to form crusts. Place muffin pans in oven and bake for 10 minutes. 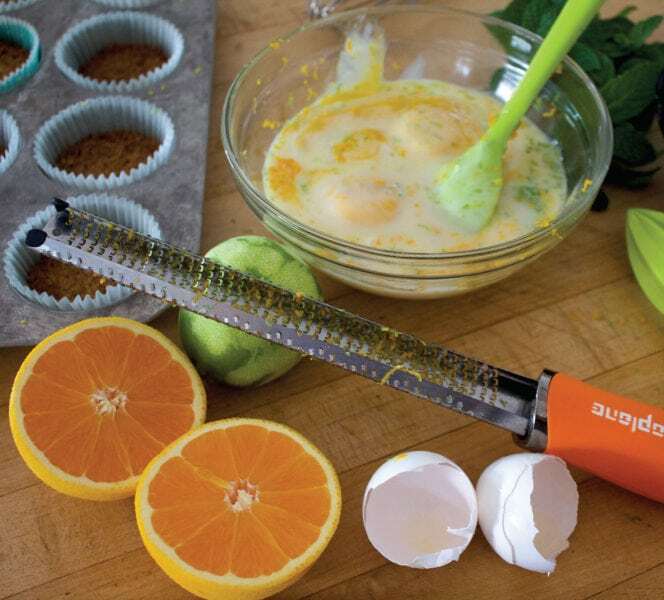 While crusts are baking, whisk together yolks, juices, zest, and sweetened condensed milk. Remove crusts from oven and divide the filling mixture among the 12 wells. Bake an additional 10-15 minutes until filling is set. 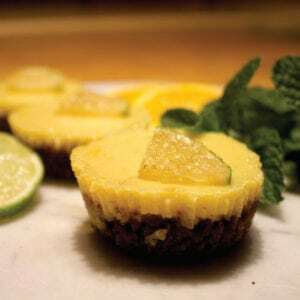 Cool tarts completely and chill; best after refrigerating at least 24 hours. Serve with whipped cream. Yield: 12 individual tarts.